How Compassion Leads to Success. There’s a common misconception that you have to be selfish, even nasty in order to succeed. In fact, science shows that compassionate people are healthier, happier, more popular and therefore, in turn.... more successful. 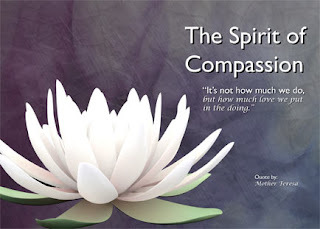 Have a look at this article and short video about Compassion and how it may help you to be more successful in life, work and study. As part of Engineers Week Feb 28th-March 3rd IADT are hosting a number of FREE workshops ranging from an introduction to programming, 3d printing, soldering, web design to Hacking colour.Please click on links to see more info and book a place - these events fill up fast so do so quickly. Particularly good opportunity for TY students to get a taste of college life and some unique learning!! Please see the link below for details of IADT's summer courses which include Art and Animation Portfolio preparation and other interesting short courses. Reminder to any 6th years applying to Medicine that the HPAT takes place this Saturday 27th February. 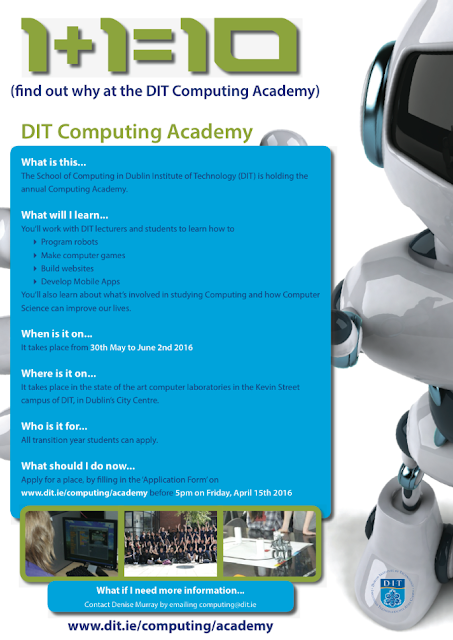 See https://hpat-ireland.acer.edu.au/ for all details and best of luck! The annual EducationUSA Seminar will take place at IBAT College, Dublin on 5 March 2016, please find full information here. Students and parents who are interested in learning about studying at Colleges and Universities in the United States are welcome to attend. This is a free seminar but seating is limited so please register as instructed on the website before 3 March. UCD Science would like to invite prospectives students in 6th year, 5th year and transition year for one of our workshops taking place during the February Mid-Term Break (Monday 15 February - Friday 19 February). There is no charge for the event but registration is essential as places are limited in each workshop. Bookings must be made by interested individuals only and students can register for as many workshops as they wish provided places are remaining. Further information about individual workshops are available on the relevant booking page on the myUCD website. There are free Leaving Cert revision workshops that Griffith college have for 6th year students. In 2015 they had over 1,000 students from across the country register for the free maths revision courses in the three locations. Tomás Mac Eochagáin, Director of Academic programmes at Griffith College, is the presenter of the course. He has over 25 years’ experience of teaching mathematics and securing excellent exam results for students. All sessions from each centre will be recorded on video and made available on line to all participants until after the examinations in June. Finally just a brief note to say that their scholarship scheme is now open for applications. Last year they gave out over €200,000 in scholarships and grants and students had a 1 in 6 chance of being successful. It is recommended that students look at this page and make an application: www.griffith.ie/scholarships . The scholarship covers the full fees for the duration of the course.